Clementine is having a tough week! She cuts her friend Margaret’s hair off, gets sent to the principal three times, cuts her own hair off, thinks her parents don’t love her, and there are pigeons messing up their apartment building again. 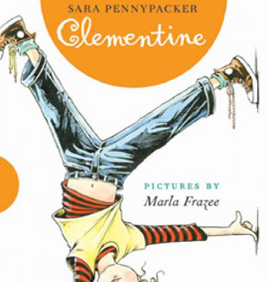 Clementine experiences the pain of getting into a fight with a friend, and in the midst of it uses her talent, observation skills, eye for the peculiar, and friendliness to solve “The Great Pigeon War” for her dad.